Engineering design practice is a new first-year engineering course at Griffith University that aims to give students an understanding of engineering for sustainability and to develop the foundational design and communication skills they need for their professional engineering careers. In 2017, students completed the Engineers without Borders Challenge (EWB Challenge) in teams of three to five to produce a design solution for a selected problem in Vanuatu. They also spent one week visiting a range of engineering workplaces where they prepared notes, recorded reflections and created a resume tailored to a graduate position. The PebblePad personal learning environment was used to guide the development of their 12-week engineering design project through a workbook called the Scoping Document and a portfolio called the Design Portfolio. A stand-alone workbook called the Employability Workbook was also used for one week to explore and reflect upon real-world futures they encountered through research and site visits. There was a significant positive correlation between student’s self-assessed achievement (SAA), and finding PebblePad was effective and helpful for achieving the learning objectives of the course, and when students were asked to finally judge the use of PebblePad, more than 80% said they would recommend the ePortfolio to students in the following year. 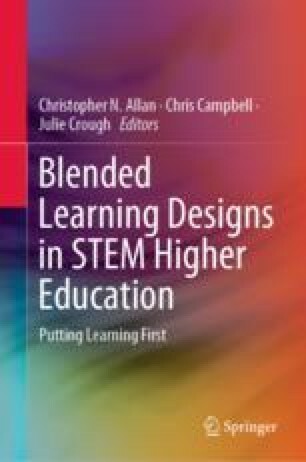 While collaborative features need improvement, the teaching team found the PebblePad workbook format well suited to the iterative nature of the engineering design process and supportive for developing project-based group assessments. The learning designs, including details of the workbooks used and the assessment tasks they supported, are provided. Suggested future refinements are given based on the experiences of using these tools over one trimester to teach engineering design practice. This research was made possible with the support of Christopher Allan. Thank you to Christopher for his valuable assistance and advice throughout the project including in supporting the creation of the PebblePad workbooks and learning designs, coordinating and conducting the interview of the teaching team and providing the opportunity to share this work via publication. Engineers Without Borders Australia. (2018). Background information. Retrieved August 27, 2018, from https://www.ewb.org.au/explore/initiatives/ewbchallenge/backgroundinfo.